The dust is settling after the WWDC 2016 keynote and it was packed with news and announcements from Apple. The four OSes - macOS, iOS, watchOS and tvOS - all got their time slot on stage and there was a lot to take in over the course of two hours. In the heat of the WWDC moment it can be difficult to see the bigger picture and how Apple's announcements fit in with its future plans. We've picked out 10 of the key stories from this year's event and how they might affect the devices and software of the future. 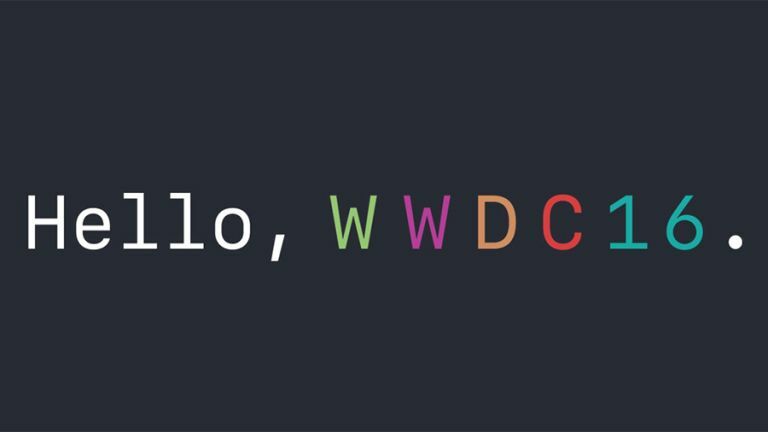 The big news from WWDC is that Siri is coming to macOS Sierra, so you're going to be able to bark voice commands at your computer as well as your smartphone. However, Siri isn't stopping there and will be in CarPlay too. What's more, Apple is now allowing third-party developers to write Siri support into their own apps too: that means Siri could soon be controlling WhatsApp, Uber, Spotify and all the other apps installed on your iPhone. Ever since the Apple Watch launched, users have complained that apps are too slow to be useful, so it's no surprise that Apple is going to address this with watchOS 3. Apparently apps will launch up to seven times faster. That should mean information is there on screen as you lift your wrist up, not five seconds later, and that might be enough to give sales a much-needed boost. Plus, apps are easier to find and fitness features have been improved. We didn't get iMessage for Android at WWDC but there were messaging upgrades for iOS, macOS and watchOS that make communicating via Apple's hardware and software even more straightforward than it already is. The Messages app for iOS got a slew of updates - there's better support for emoji, there's an invisible ink feature to keep your messages hidden to begin with, and there's the option to change the 'loudness' (size) of your texts. The update to the Photos app in iOS 10 brings with it a lot of features previously seen in Google Photos: smart tagging of locations and features, for example, and highlights reels automatically created for you. For a lot of us, our phone is our only camera - Apple and Google know that being able to intelligently manage our photos is crucial in attracting users. Of course the difference is that Google Photos is also available on iOS. Apple was keen to emphasise the approach it takes to user privacy and how different it is to some of its rivals (*cough* Google *cough*). Your data stays on your device, Apple says, even as its apps become more personalised. Whereas Google will use the data is has on you to serve up better ads, Apple says it won't profile users in this way. It's the same approach for the new context-aware features built into the iOS keyboard as well. There were no sweeping changes to Apple Music in iOS 10 but it does have a cleaner and more elegant look, as well as a brand new lyrics page you can flick to if you want to sing along to your favourite tracks. Apple is pinching the idea of curated playlists from Spotify, only it's going to deliver its playlists every day rather than every week. Apple Music is only a year old, don't forget, and it still has some way to go to be a success. The WWDC 2016 keynote was also notable for just how many small, experimental features the company introduced along the way: from an app to help you breathe better to a new remote app for the Apple TV. Social features for the Apple Watch, voicemail transcriptions, Apple Pay on the web, a new Home app, a better interface for Apple Maps, a single sign-on for the Apple TV, and so on - it's no wonder Apple needs a bigger headquarters. One iOS 10 change that wasn't mentioned on stage at WWDC but which is coming to the software is the option to hide some of Apple's default apps - apps like Stocks and the Apple Watch app can be removed. We've mentioned Siri's expansion but there were other new Continuity features too - take the Universal Clipboard, for instance, which lets you copy text on an iPhone and then paste it into an application on your Mac. We don't know when it's going to be ready, but Apple also teased out details of a new file system designed to operate across all Apple's products, making it even easier to use macOS, iOS, watchOS and tvOS together. One of the many new apps unveiled by Apple at WWDC this year was Swift Playgrounds - an iPad app that makes using the company's own coding language easier than ever, and easy enough for your kids to use.